The right-wing Alternative for Germany (AfD) party is entering parliament for the first time ever, though its electoral rise seems to be more of a reaction to Chancellor Merkel than anything else. The AfD came in third place by scoring 12.5% of the vote, while Merkel’s Christian Democrats won the election but with only 34.7%. The second-place Social Democrats polled at 20.5%, but they refused to enter into a coalition with Merkel, who might now be pressed to form a so-called “Jamaica Coalition” with the Free Democratic Party and the Greens. If successful, then this would bring together three rather unlikely parties and might, as some analysts have predicted, create governing difficulties for Merkel, who had previously ruled the roost without any significant opposition in the EU’s leading state. Some fear that the political confusion spurred by the contradictions between the “Jamaica Coalition’s” members might serve to embolden the AfD, which was the first right-wing party to enter into parliament in more than half a century, and therefore contribute to its rapidly rising appeal as an outspoken opposition party. This could naturally lead to unpalatable optics for the EU’s liberal-progressives, but it’s still far from certain given how internally divided the AfD’s leadership surprisingly seems to be. Its co-leader, Frauke Petry, dropped what was described as a “bomb” by announcing shortly after the group’s victory that she would be leaving the party to serve as an independent member of parliament after having previously voiced worries that the AfD was moving too far to the right. Her split with the party shows that the opposition firebrands aren’t as united as they may have initially appeared, and that the AfD is on the verge of dividing into so-called “moderate” and “conservative” factions. If left unchecked, then this could weaken the group’s political resolve and subsequently make it less attractive to its anti-Merkel base. 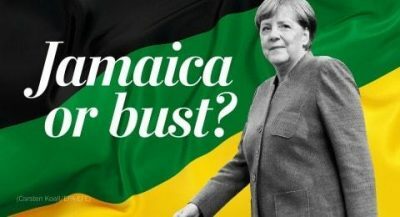 As a consequence of the right-wing’s fracturing, the Social Democrat’s mediocre support from the public, and the lingering uncertainty over the long-term cohesive unity of any prospective “Jamaica Coalition”, it increasingly looks like German politics have entered a new era of relative instability and will never be the same again.